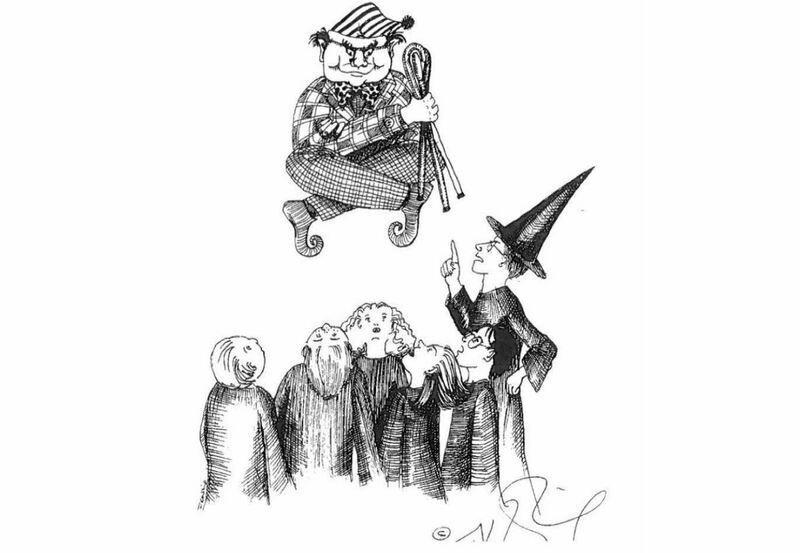 While the Harry Potter films may have made up our minds about what we know Harry and the gang to look like, if you read the books before watching the movies as a kid, you would have had to use your imagination to see the characters at Hogwarts. 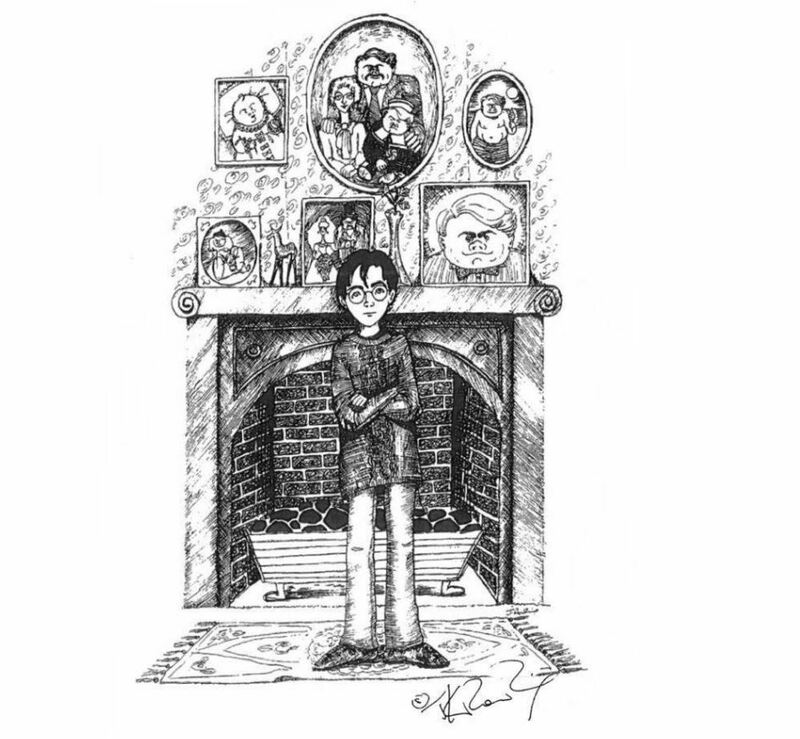 Sure, they were probably pretty closely influenced by the book’s descriptions, but it was still pretty cool knowing you imagined a Harry that no one else could see. 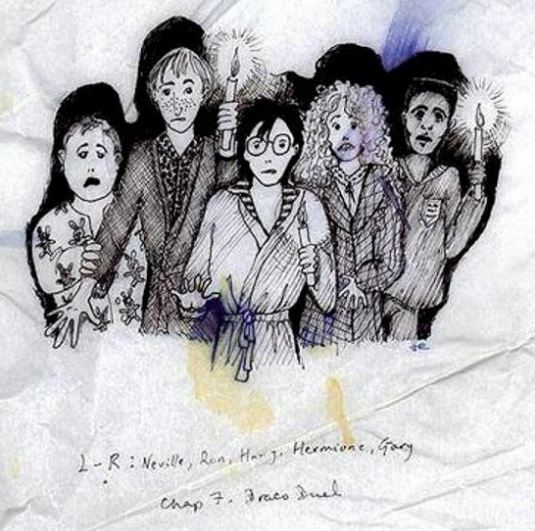 And as it turns out, J.K. Rowling had a pretty good idea of what Ron, Hermione, Harry and the rest of the gang looked like – so much so that she even drew them out. 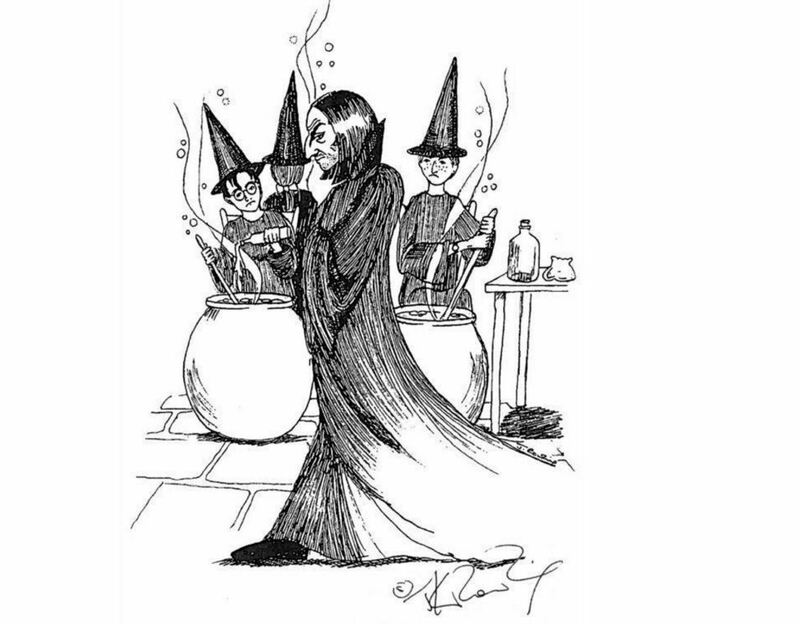 So if you thought writing fantastic books and movies about the magical world of wizards was all J.K. Rowling was good for, then you may want to think again, because she’s a pretty damn good artist too. 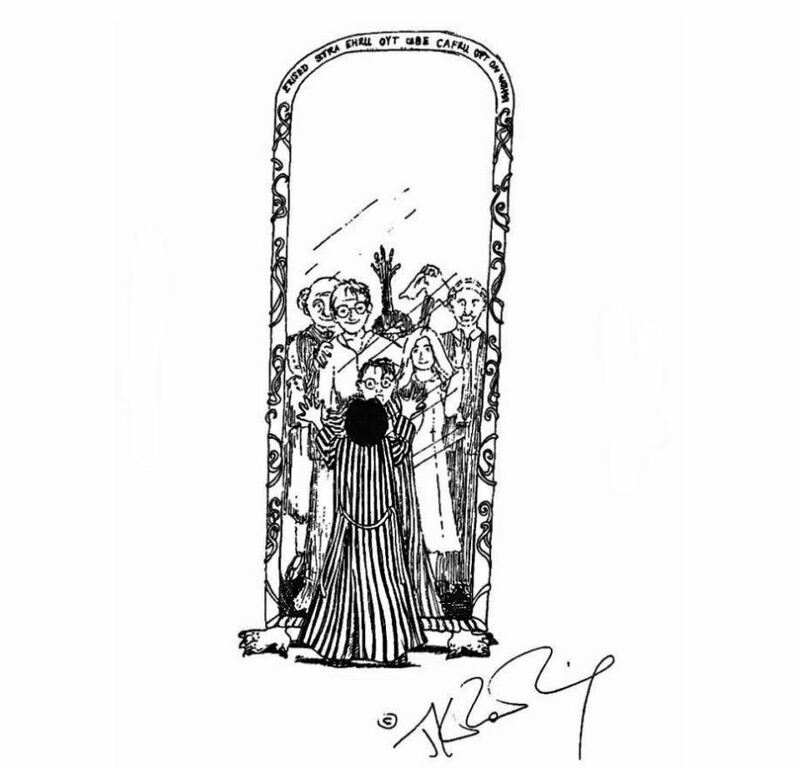 A few of her rather wonderful sketches have sneaked their way onto the Pottermore website in the last few months, but it seems no one has really noticed them until now. 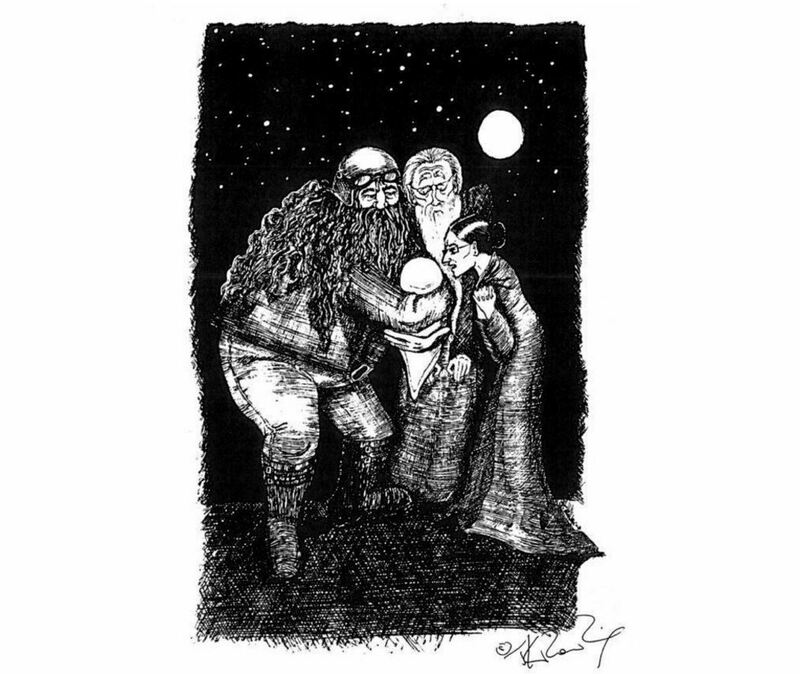 The sketches, found by the Rowling Library and drawn by Rowling in the early 1990s before the Harry Potter books were released, show early renditions of Harry, Snape, the Weasley family, Dumbledore, and a few more characters. They weren’t announced by Pottermore staff, so they’ve stayed hidden in articles until someone found them. 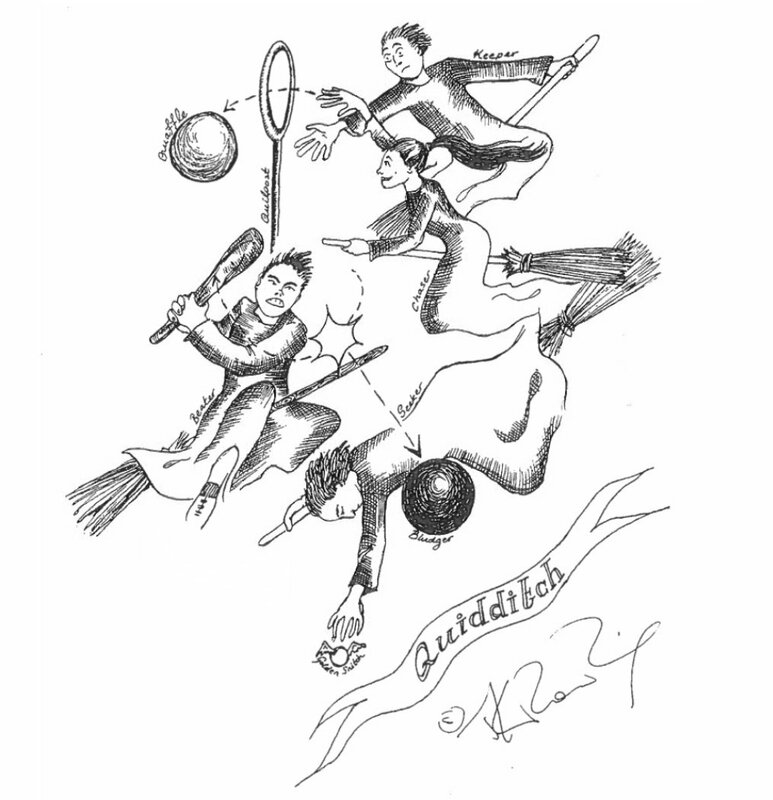 Apparently, there were already a few on the site, but three more have found their way onto the Peeves, Potions and History of Quidditch World Cup articles. If you happened to miss the already-known images, they were previously shown at video interviews or were part of older articles. Fair play to Rowling – she’s extremely talented.